Upgrading Your Amenities Gives You Increased Enjoyment & Functionality For the Lifetime of your project! 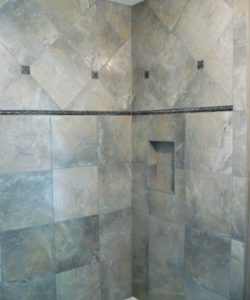 When you decide to install or remodel your kitchen, bathroom, or other areas of the house, including the extra amenities can really increase your enjoyment and functionality. 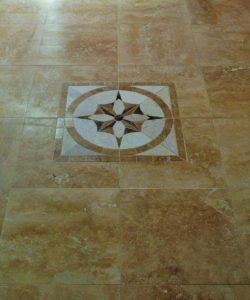 You can upgrade the level of luxury for any area by inserting dots, tile rugs, bans or medallions. 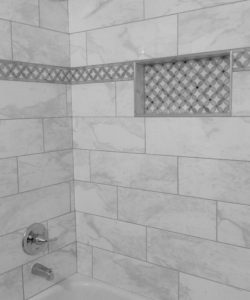 Most of these additions don’t place a big burden on the budget, and once they are installed they will function for the lifetime of the tile. Dot inserts come in many designs and sizes. 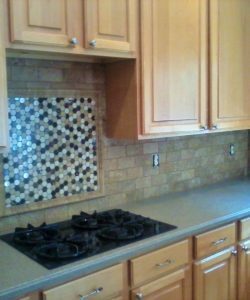 There is no possibility for plain when you add dots to backsplashes, showers, tub surrounds or floors. Mosaic bans instantly turn tile into artwork. You can wrap them around your showers or tubs. 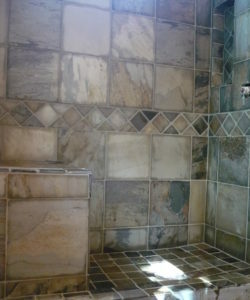 You run a ban along your backsplash or insert it as a square on your floor to make a tile rug. Medallions are another alternative to creating a unique room. With today’s variety of sizes, colors, and designs, you can easily find your very personal centerpiece. 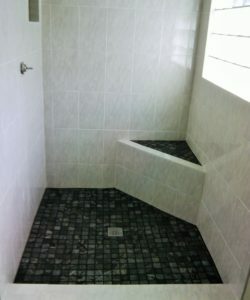 Dickie Tile installs all these features, and more. 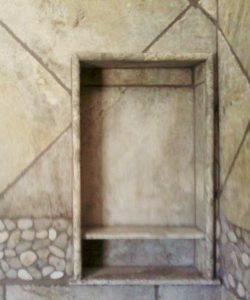 In addition to customizing the job to your style, we also consider your comfort. 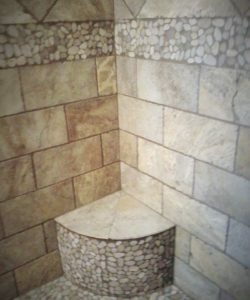 We install shower seats of all heights and size. 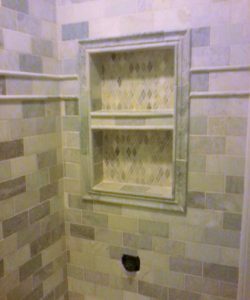 Soap dishes and shelves are inverted to hold all your bathing products, and avoids protrusions. Hand rails can be anchored into any wall to secure easy access. 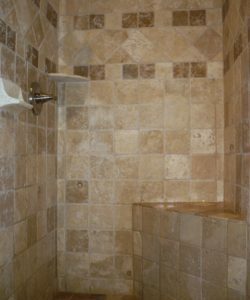 We also offer curb-less showers for the ultimate convenience.